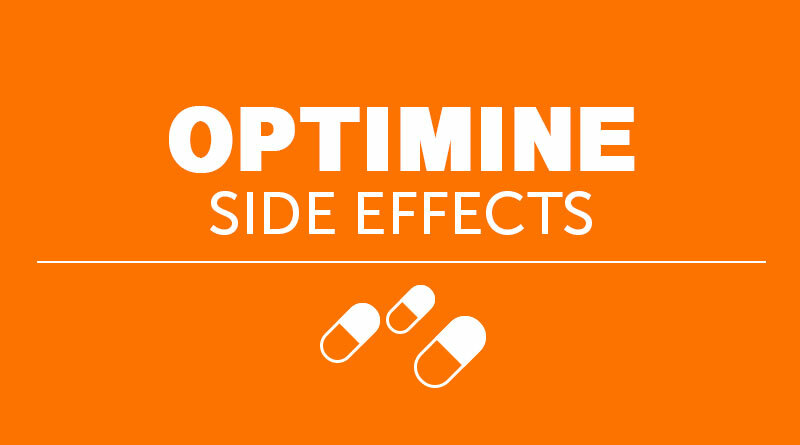 Optimine (azatadine) is an antihistamine. Azatadine blocks the effects of the naturally occurring chemical histamine in your body. Azatadine is used to treat sneezing; runny nose; itching, watery eyes; hives; rashes; itching; and other symptoms of allergies and the common cold. Azatadine may also be used for purposes other than those listed in this medication guide. What is the most important information I should know about Optimine (azatadine)? Use caution when driving, operating machinery, or performing other hazardous activities. Azatadine may cause dizziness or drowsiness. If you experience dizziness or drowsiness, avoid these activities. Use alcohol cautiously. Alcohol may increase drowsiness and dizziness while you are taking azatadine. Who should not take Optimine (azatadine)? Do not take azatadine if you have taken a monoamine oxidase inhibitor (MAOI) such as isocarboxazid (Marplan), phenelzine (Nardil), or tranylcypromine (Parnate) in the last 14 days. A very dangerous drug interaction could occur, leading to serious side effects. You may not be able to take azatadine, or you may require a lower dose or special monitoring during treatment if you have any of the conditions listed above. Azatadine is in the FDA pregnancy category B. This means that it is unlikely to harm an unborn baby. Do not take azatadine without first talking to your doctor if you are pregnant. Azatadine passes into breast milk. Infants are especially sensitive to the effects of antihistamines, and serious side effects could occur in a nursing baby. Azatadine is not recommended if you are breast-feeding a baby. Do not take azatadine without first talking to your doctor if you are nursing a baby. If you are over 60 years of age, you may be more likely to experience side effects from azatadine. You may require a lower dose of this medication. How should I take Optimine (azatadine)? Take azatadine exactly as directed by your doctor. If you do not understand these directions, ask your pharmacist, nurse, or doctor to explain them to you. Azatadine can be taken with or without food. Never take more of this medication than is prescribed for you. The maximum amount of azatadine that you should take in 1 day is 2 mg.
Store azatadine at room temperature away from moisture and heat. Symptoms of an azatadine overdose include extreme sleepiness, confusion, weakness, ringing in the ears, blurred vision, large pupils, dry mouth, flushing, fever, shaking, insomnia, hallucinations, and possibly seizures. What should I avoid while taking Optimine (azatadine)? Stop taking azatadine and seek emergency medical attention if you experience an allergic reaction (difficulty breathing; closing of your throat; swelling of your lips, tongue, or face; or hives). What other drugs will affect Optimine (azatadine)? Talk to your pharmacist before taking other over-the-counter cough, cold, allergy, or insomnia medications. These may contain medicines similar to azatadine, which could lead to an overdose of antihistamine. Drugs other than those listed here may also interact with azatadine. Talk to your doctor and pharmacist before taking any prescription or over-the-counter medicines.